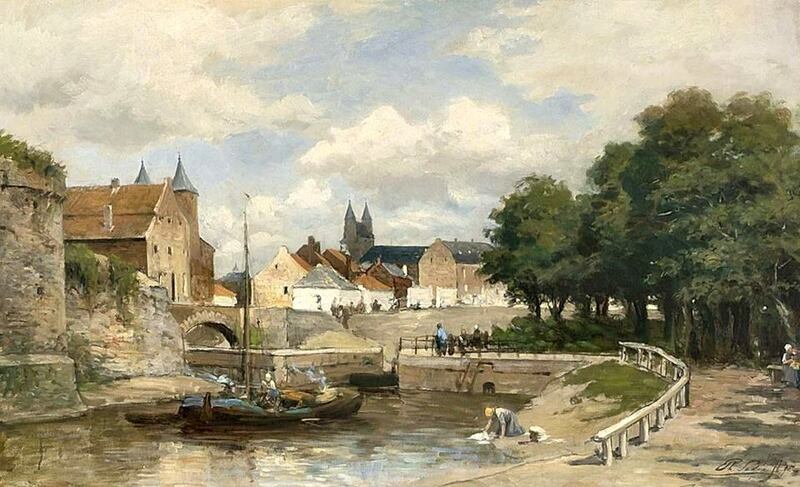 Philip Lodewijk Jacob Frederik Sadée – Limburgs Museum L18845. Title: Gesicht of Maastricht. Date: 1895. Materials: oil on canvas. Dimensions: 71 x 114 cm. Nr. : L18845. Source:. https://lh4.googleusercontent.com/IegHo3sXFpGfkOGHxgwpZiDHv1jzu6pX8pY133sPtY8bwVrDTO6cO5TBWISTP9uUSnQoP-XofOb62EW7mvZTLMGOthleEvs65Rv7S2lKaOrUYtzIgC-d-m1VvNP8Nc1xyaL0Py0H. I have changed the light and contrast of the original photo.